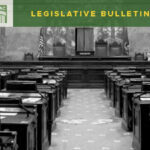 HomeLegislative Bulletin Liability Wrongful death bills are moving! 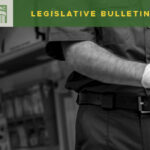 Wrongful death bills are moving! 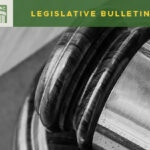 The Washington State Association of Counties has long fought against various versions of expanded wrongful death tort liability and there are new bills (very similar to last year’s bills) seeking to expand these claims again this year. WSAC has never opposed the inherent policy behind wrongful death claims: these stories are tragic and heartbreaking, and counties should be liable when responsible. As good stewards of taxpayer funds, our concerns have always been about fairness and fiscal responsibility: counties should pay to the extent they are liable, but they should not pay all of a claim where they are only partially (often, relatively minorly) at fault. In many tort cases, it is common for multiple parties to be at fault to varying degrees, and our position is that each actor should be responsible only for its share. We are likewise concerned about the retroactive application: it is one thing to change the law going forward, but it is quite another to open the counties up to liability for past claims. It is difficult to even assess old claims: records may not have been maintained, witnesses cannot always be located, and memories naturally fade with the passage of time. Retroactivity makes it extraordinarily difficult for counties to assess risk and plan budgets. And, of course, anything that the state adds to county liability makes local budgeting even harder at a time when counties are already facing fiscal difficulties. We will testify to oppose the present versions of these bills and highlight county concerns. 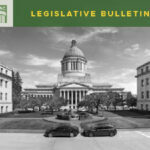 The Senate version of the bill (SB 5163) is set to be heard on Tuesday, January 22 at 10:00 am in the Senate Committee on Law & Justice and voted upon in that committee on Thursday, January 24. The House version of the bill (HB 1135) is set to be heard in the House Committee on Civil Rights & Judiciary at 8:00 on Wednesday, January 23 (no date to vote on the House bill has yet been set).